Chief Minister C. V. Vigneswaran says that the government has not fulfilled any of its promises to the Northern Provincial Council and that even calls to scale down troops in the war-torn province have gone unheard. “We were promised many things but in the end we have received nothing,” he said in an interview with the BBC Sinhala Service. Vigneswaran further said that he does not see any wrong in calling for an international probe into allegation of war crimes during the final stages of the war, as there is no domestic process to investigate the allegations. Instead of completely investigating the final stages of the war and finding out what actually had taken place, the government is saying that there is no need for an investigation and that they trust their soldiers, he said. He says that the people in the North have the right to find out what happened to their relatives. “The truth needs to be revealed. If any person has committed a wrongdoing then they should be punished,” he said, adding that ‘you reap what you sow’. The Chief Minister stated that the request made from the government to withdraw troops from the North has also not been fulfilled and that the President and the President’s Secretary are issuing contradictory statements regarding the number of soldiers currently station in the province. This LTTE rump idiot is going at a tangent claiming ” the government has not fulfilled any of its promises to the Northern Provincial Council”. The NPC is just another Council among 8 others. What promises were made and where and by whom? The funtions and operations of Provincial Councils are governed by the Constitution of Sri Lanka. The president, Cabinet of Ministers and Parliament are all on oath to “uphold the Constituion”. So, what is this idiot talking about? he has no rights, whatsoever, by virtue of his position of CM, NPC to call for “international investigations into alleged war crimes”. That is not part of devolved power to the PC’s. Isn’t this idiot causing sedition by promoting separatist ideology? I wish with all my heart, that this idiot be lead to hangman’s noose at Welikada without any further delay. We, the Sinhala Buddhists, sacrificed more than 30,000 youthful lives in redeeming out tamil brethren form the stranglehold of the Sun God. 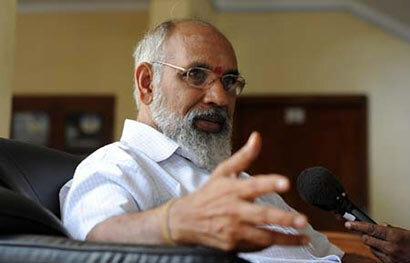 Will the uprising being fostered by this bearded idiot require another 30,000 Sinhala Buddhist lives ? The call to withdraw troops is primarily aimed at creating an LTTE like armed force in the NP to “protect” the inhabitants there. Mr Wicky, we heard this before, from your late Boss, the Sangili Prbaharam, and we lived through his bombs and glorified suicide cadres for 30 years. We, the brave Sinhala Buddhists and the sole occupants of the island of Sri Lanka, will not let such treachery happen ever again. We will not let our Tamil speaking sisters and brothers strap gelignite to their breasts and garland their leader’s favorites ! Ha! If somebody can make the stone idiots understand the grave threat they are facing and make them unite discarding the bloody party politics the imperialists let us with to make sure we eat other for ever allowing them to manipulate us as they wish! This is one country, this should be in mind who ever is standing on it. People in other areas who got affected with bombings, slaughtered by rebels also required to know what has happened to their parents/ kids and relatives too. We seek answers from CM. North is not belonging to a separate nation, so to station in any part by forces is nobody’s question. Its a country matter. CM should be answerable to all the people died due to bombings in Colombo and suburbs. He should bring to Colombo as soul representative to LTTE as he’s standing for their rights and questioned. I think bar association can take necessary actions into this. If CM points at us then we can point back more than that. Lets start with this process without further delays. You can not trust these TAMIL Tigers,they have forgotten that,we have tamils also other parts of Srilanka.These Tamils tigers are very selffish,Last 30years Srilanka has sufferd enough.now the time is come to think the future of Srilanka.Please Srilankan wake up.Srilanka is a one nation. You are absolutely correct. Your call for all Sri Lankans to live in peace and harmony is highly appreciated. By the way, you sound a new comer. You have entered into the arena very graciously. Andrew M’s (Blog 1) last paragaraph is one of the most patriotic statement ever heard. He refers to supremacy of the Sinhala Buddhist race and along with that, an unprecedented inclusion of all othhers, including Tamil speaking citizens, who live in our land. In fact, Andrew refers to a United Sri Lanka and he is more concerned about “our Tamil speaking sisters and brothers strap gelignite to their breasts and garland their leader’s favorites”. Andrew is an admirable patriot; he is miles ahead of our political clans; he laments about the 30,000 Sinhala Buddhist lives lost but his heart goes out to his Tamil speaking brothers and sisters. Bth QK and Indra, have not understood Andrew’s message.